t seems unbelievable that Smt. Sonia Gandhi, Chairperson National Advisory Council (NAC) that advises the Government of the Nation of over a billion souls has a cause of some 300 Kashmiri Pandit migrant teachers so dear to her. This became known when a delegation led by S. K foundation chief, Sh. Sunil Shakdher, its Managing Trustee Sh. A.K. Kaul, Sh. Sanjay Wali (KPUF), Ms. Nancy Kaul (Daughters Of Vitasta) and Sh. M.K Bamzai met her today at 10 Janpath, New Delhi. The discrimination meted out to Kashmiri migrant teacher working in Delhi Administration and MCD schools was taken up by the foundation in September 2010 with Smt. Sonia Gandhi. Consequent upon the directions from NAC Delhi Chief Minister Smt. Sheila Dixit convened a meeting on 17-1-2011 of the concerned authorities the invitation of which was also extended to Sh. Sunil Shakdher who whoever was unable to attend the same due to the demise of her mother in law. Subsequently Delhi Chief Minister Smt. 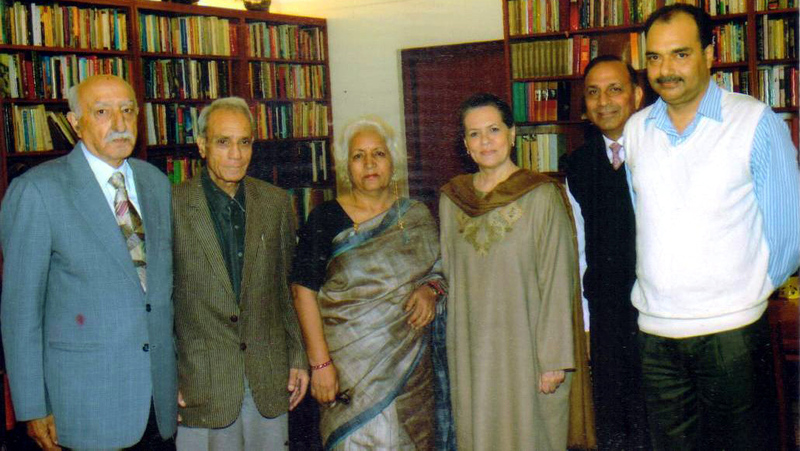 Sheila Dixit invited the foundation delegation on 19 January 2011 that comprised of Sh. Sunil Shakdher, Sanjay Wali (KPUF), Dr. Romesh Raina (AIKS) and Ramesh Mota wherein she conveyed in person that her Cabinet had taken a landmark decision of enhancement of remuneration of migrant teachers to a sum equivalent to the Basic Pay + Grade Pay and Dearness Allowances paid to the regular teachers of the Delhi Administration. As a result of this decision the remuneration of Kashmiri Migrant Teachers would increase 100% (From 13160= to 26318=) in respect of PGT teachers and by 123% (From 11140= to 24853=) in respect of TGT teachers. Further the engagement of Kashmiri Migrant teachers has been extended to 5 years instead of one year and age relaxation from time to time was to be extended to them if they appear for examinations conducted by Delhi State Service Selection Board DSSSB. A gist of this decision was sent to NAC headed by Smt. Sonia Gandhi. Today, the members of the delegation expressed gratitude to Smt. Sonia Gandhi for her concern for the beleaguered Kashmiri Migrant Teachers. A memorandum was submitted to the Chairperson NAC wherein it was explicitly expressed that the recent enhancement of remuneration was a welcome gesture but a lot more required to be done for these hapless migrant teachers that have put in 20 years of their dedicated service in the Delhi Administration schools. It was brought to the notice of Smt. Sonia Gandhi that the Chief Minister Smt. Sheila Dikshit has agreed in principal that Kashmiri Teachers were engaged under special circumstances and the situation at their native place was yet to normalize and as such there was the need for taking a onetime cabinet decision to absorb all of them as permanent teachers. The memorandum also reflected certain flaws in the recent cabinet decision as the same was silent on payment in the vocations, improved service conditions etc. Despite the immense responsibility of the vast Indian Nation that Smt. 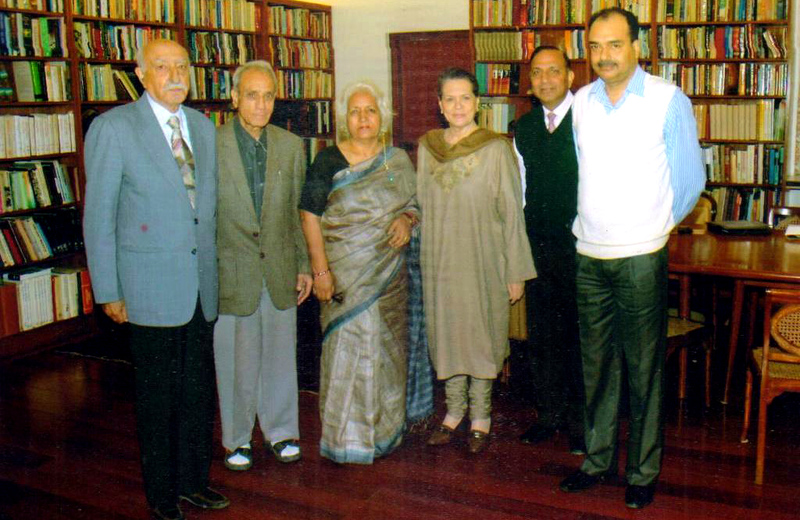 Sonia Gandhi shoulders, she appeared to be startlingly well acquainted with the happenings of migrant teachers including the recent cabinet decision taken by Delhi CM Sheila Dikshit . Her busy schedule did not deter her to give a patient hearing to the delegation whom she assured that she would soon take up the matter with Delhi CM. In yet another rare gesture of solidarity with the delegation she on our request called her official photographer to have a small photo session with the visiting delegation. 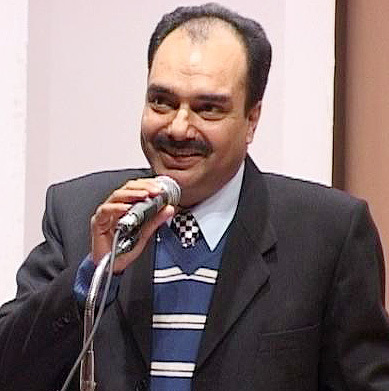 Sanjay Wali is the President, Kashmiri Pandits United Forum (KPUF).